806, Atma House, Opp. Old RBI, Ashram Road, Ahmedabad – 380009, Gujarat, INDIA. Bolts are threaded rods or pins that fasten objects together. They usually have a head at one end and a thread at the other. Bolts are secured by threaded nuts, and are available in both metric and non-metric designations. 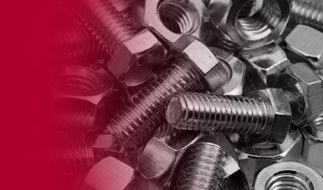 Irya Fasteners brings to you a vast range of bolts. DIN 603, DIN 15237, DIN 186, DIN 188, DIN 261, DIN 3570, DIN 444, DIN 478, DIN 479, DIN 480, DIN 571, DIN 580, DIN 603, DIN 605, DIN 608, DIN 6900, DIN 6901, DIN 6914, DIN 6916, DIN 6921, DIN 7968, DIN 7984, DIN 7990, DIN 7991, DIN 912, DIN 913, DIN 931, DIN 933, DIN 938, DIN 939, DIN 960, DIN 961. ISO 15048, ISO 272 :1982, ISO 4014:2011, ISO 4014-1979, ISO 4015:1979, ISO 4016:2011, ISO 7379, ISO 7380, ISO 7411, ISO 7414, ISO 7417, ISO 7512.